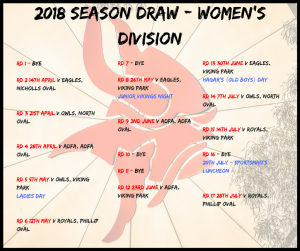 The 2018 Season Draw has been released for Premier Division, 1st Division and the ViQueens. 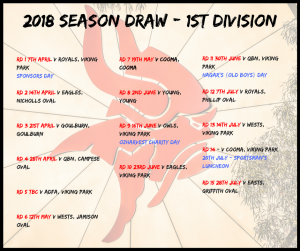 Premier Division, which features 1st Grade, 2nd Grade and Colts (U20s) will host 7 games at Viking Park this season. The Vikings will play Queanbeyan and Royals 3 times in 2018, and then against the Eagles, Owls, Easts and Wests twice in a home and away fixture. Game times will be released closer to each match. 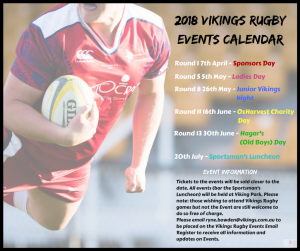 Vikings Rugby is also pleased to announce the release of its Events Calendar for 2018. 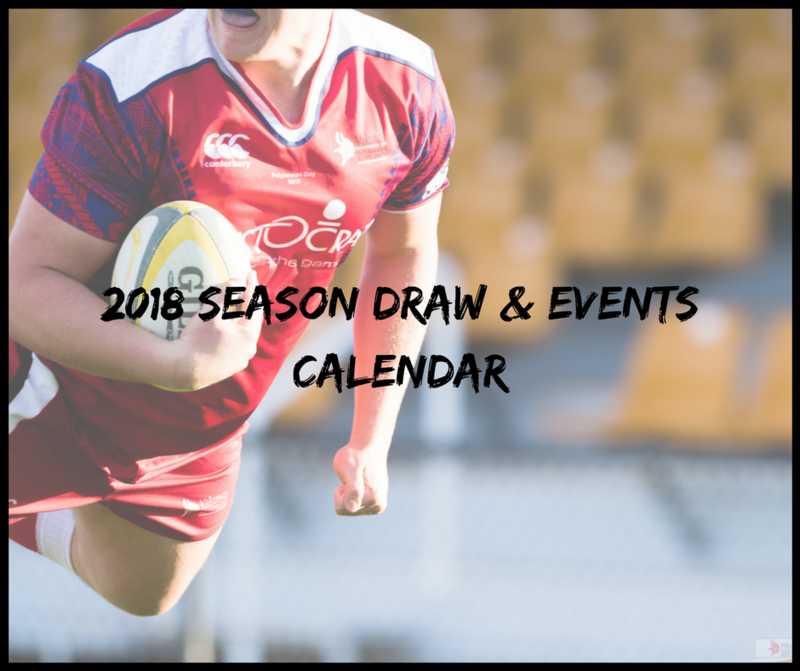 Vikings Rugby will host 6 events throughout the 2018 Season – Sponsor’s Day, Ladies Day, Junior Vikings Night, OzHarvest Charity Day, Hagar’s (Old Boys) Day and the much anticipated Sportsman’s Luncheon. Tickets to the events will be sold closer to the date. All events, bar the Sportsman’s Luncheon, will be held at Viking Park. Please email Rugby Administration Manager Ryne Bowden on ryne.bowden@vikings.com.au to have your email placed on the Vikings Rugby Events email register, to receive all information and updates on events.